Love Problem. Love Relationship Problem. Anger Problem. Dr Zee. Over Active Imagination, Relationship Problem Advice. But Who Is Dr Zee?. Who is Dr Zee? Well, one answer is that I'm a figment of Elsa's imagination. But that's not telling anything. It's like saying Tinkerbell is a fairy. What then? and one may know more about them than a lot of the people in our lives. of all the people I got a chance to know and be close to. So who is this Dr Zee? wonders and figures things out a lot. 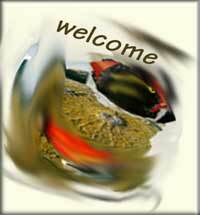 the creativity blog, and dozens of other projects. Background? She split off from Elsa a long time ago - she's one of those alternate selves. as she is a real but virtual self. She's happy to have the space she has. It suits her. has been Knowing the Inner Self. That's been my space, Dr Zee's space. writes idea pieces, writes Caro's Quest, performs. Dr Zee keeps to the stuff that goes on inside people and between people. and now has a home of her own. Another question - because you may have noticed there is a Zee's Cafe Cafe, and a Zee. 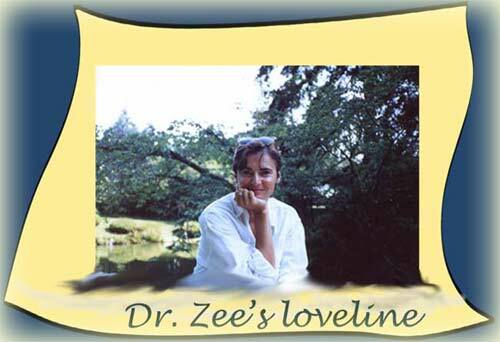 How does Dr Zee relate to Zee? Zee is another alter ego, the one who went out into the performance world, finally setting up a cafe for all kinds of performance people, including herself. Zee is Elsa going back to some of her deepest roots - performance and writing and art, the first things Elsa wanted to do with her life. It was in 1999 that Zee came to be, as the everywoman who runs Zee's (virtual) Cafe Cafe, where she herself performs and where she's made a home for lots of other alternative musicians, spoken word people, folk rap dreamweavers. So much work was done. Two samples of Zee's Cafe Cafe were created, first mainly alone, then with considerable support. But it's a big project. Elsa needed more support and also (since there's been no funding) more knowledge to do much of the design work on her own. Finally, when too many other things happened, the cafe had to be put aside. But it was never discarded. The dream never died. It's been waiting, so much ready to go, so much more almost ready to go. And now, finally, it's slated to be on the web January 7, 2007, a big part of Elsa's Creativity Emporium. As for me, though I got my name much later in Elsa's life, I am getting my space earlier. I have to thank Zee for a lot - including my name. Most, without Zee there might never have been the idea for a web project. As for my name, part comes from Zee and part from Elsa. She's entitled to call herself Dr, but doesn't - though some of her students call her Doc. So there was her Dr title, just floating around unused, ready to be put to use. For now, it's mine. It's Elsa's sister's favorite picture of Elsa. Dr Zee can't take on answering lots of individual problems. considers ways to deal with them. But she's no Dr Phil or Oprah, no Virginaia Satir. She's one person, ready to point to other resources. But maybe her explorations are also yours. And maybe what she comes up with is helpful to you. wth something different every virtual night. subscribe to the free updates. letting go of anger, and more. Relationship Problem Advice. But Who Is Dr Zee? Dr Zee: a figment of the imagination, an alter ego, her own self. knowing, exploring. Cares to know about people and good loving.